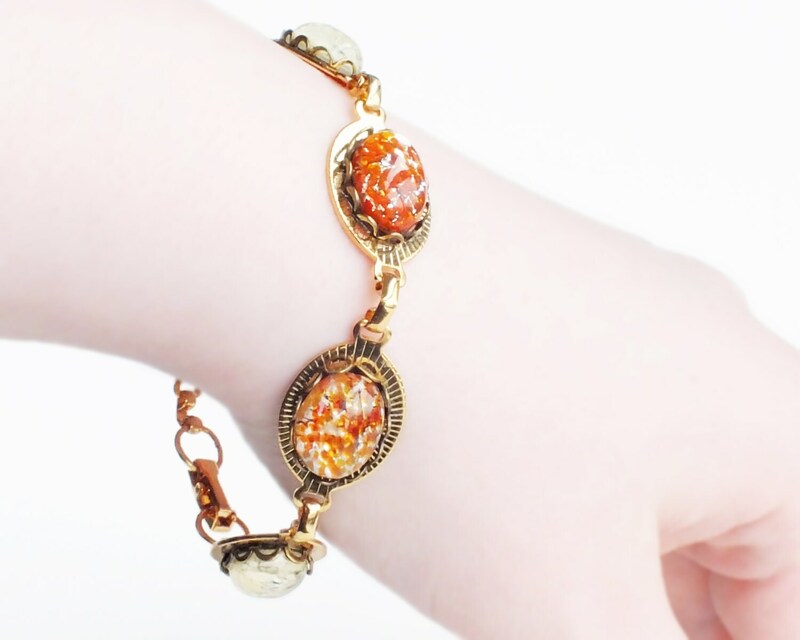 Handmade orange opal bracelet with vintage foiled glass fire opals and gold plated chain. 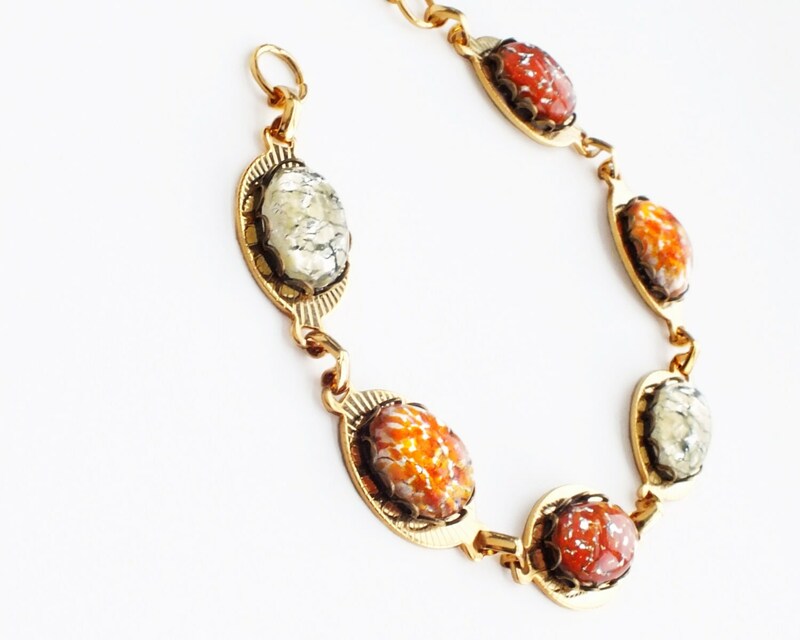 Stones are 3/8 x 1/2 inch - 1.2 x 1 cm each. 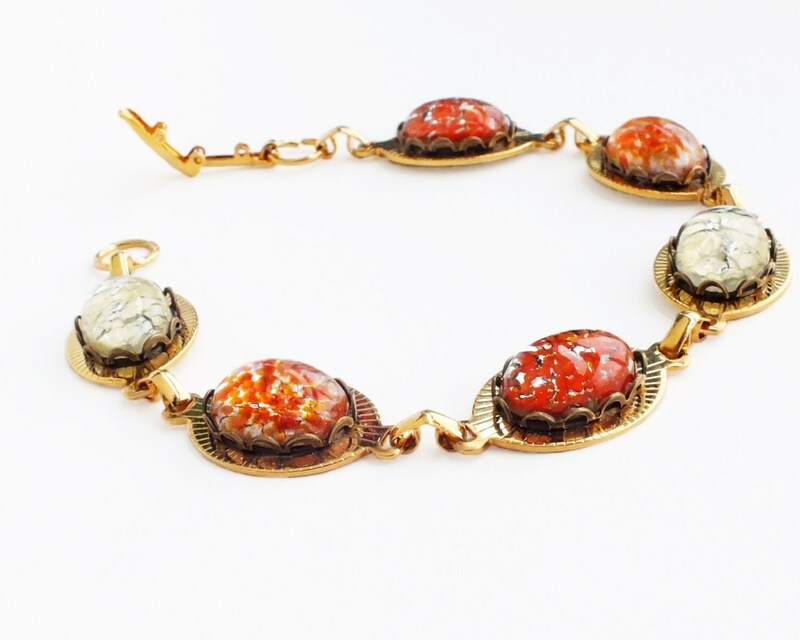 Bracelet is 8 1/8 inches - 20.3 cm long **See comments below. Closes with a fold-over clasp. 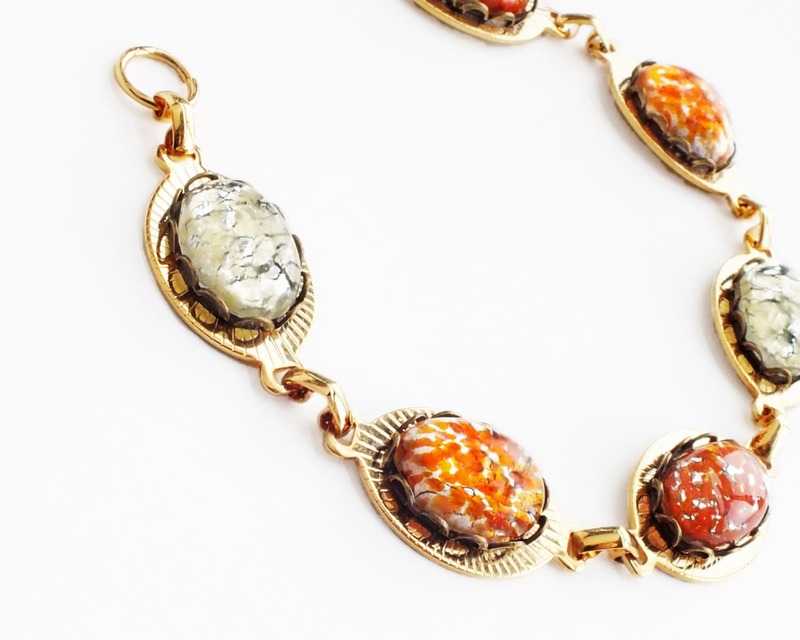 Made with beautiful genuine vintage domed silver foiled glass cabochons in an orange, tangerine and ivory white palette. 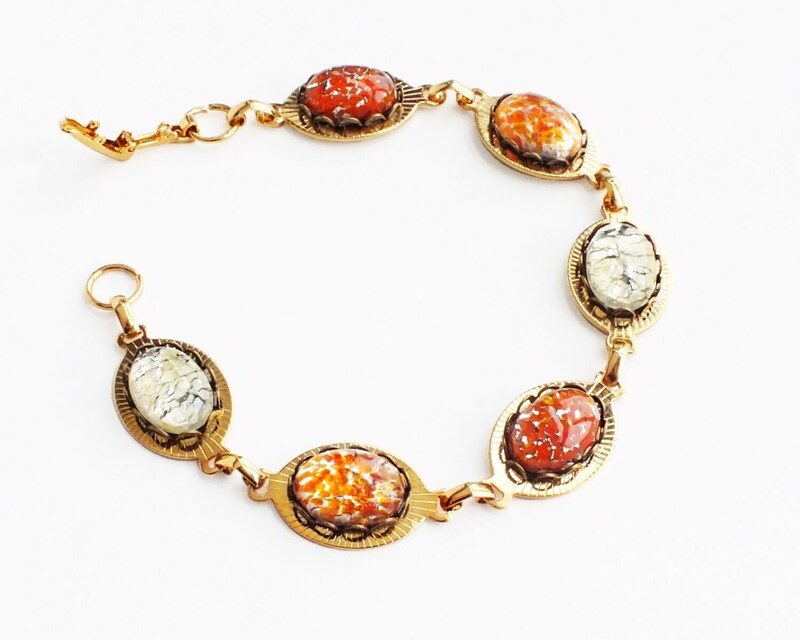 Set in antiqued brass lacy settings secured to a high quality US made Art Deco styled bracelet made of glossy gold plated brass oval sections. **I can also make the bracelet shorter by removing one of the pads to bring the length down to 7 inches - 17.5 cm.